CVS Caremark Adherence Study – Is Facebook The Solution To Adherence? A new study funded by CVS Caremark as part of their ongoing research into medication adherence was recently published. According to the study, greater practical support was more often linked to improved medication adherence, with 67 percent of the studies evaluating practical support finding a significant association between the support and medication adherence. 1. 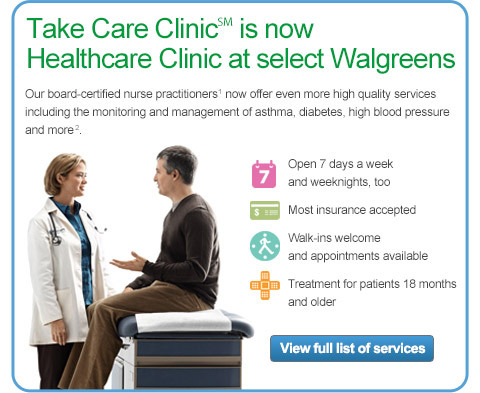 How will this research change CVS Caremark’s approach to medication adherence such as your Adherence to Care program? CVS Caremark’s Adherence to Care program is all about engaging patients more consistently and directly to ensure they are following their medication regimes. We understand that our patients’ social networks and communication preferences are diverse, and we know that multi-dimensional interventions help to change behaviors. Given these factors, this research can be an important reference point as we develop new approaches to our adherence programs, challenging us to look beyond traditional engagement strategies in an effort to most effectively support patients on their path to better health. We are planning to test some interventions along these lines in 2013. As a pharmacy innovation company, we want to make sure we are anticipating patient needs and remaining relevant to them especially given the changing face of social communication and networks. 2. The data points required to assess these support factors aren’t readily available in the eligibility file or claims file. Are you collecting that data at the POS or during the enrollment process and using it in any way to determine the correct intervention cadence or level of effort at an individual level? While this may not be the standard today, it is clear from the research that a patient’s social network and resulting support can be important factors in helping them take their medications as directed. This research can help us and others in the industry think about how best to incorporate new approaches to identify and leverage social networks for greater medication adherence. For now, we will rely on POS as a way to collect this type of information. 3. To me, it appeared the data was less conclusive than I would like. There were lots of conflicting data points and qualitative data. Do you plan to refine this testing within your population to look at differences across disease states and relative to other factors? This study relied on a comprehensive analysis of current literature linking medication adherence to social support networks – so we recognize that there are limitations in being able to draw concrete conclusions on certain factors, such as disease-specific conditions. Regardless, we still believe these findings – which look at clinical, peer-reviewed studies – contribute to the knowledge base in our field. As with all of the research we conduct, we challenge our teams to consider how we might be able to use the information to find practical supports for patients, while at the same time contributing to awareness about the implications of adherence on the broader health care landscape. The best way to understand this research is as hypothesis generating, which we can use in the design of real interventions that we can then test definitively in subsequent studies. 4. Some of these social factors might be correlated with depression. Was there any screening done to look at how depression as a co-morbidity might have affected adherence rates? The methodology of this study relied on literature review and analysis of fifty peer-reviewed research articles which directly measured the relationship between medication adherence and forms of social support. A full review of the medical conditions associated with these studies can be found in Appendix 1. While depression, alone, was not one of the conditions featured in these studies, several did look at mental health conditions and the linkage between adherence and social networks. We did not however stratify by existence of depression—it may be a factor we have to take into account in future studies. 5. The one thing that I read between the lines was the need for a caregiver strategy. This has been missing in the industry for years. Does CVS Caremark have an approach to engaging the caregivers? Our study found that practical support such as picking up prescriptions, reading labels and filling pill boxes – all within the realm of a given caregiver’s role – were the most significant in driving greater adherence. Considering this finding, and acknowledging the role caretakers have in the lives of our patients, there is certainly space for us to develop solutions that engage caretakers more effectively. Recent analyses of “buddy” programs do suggest such interventions do work- -we just need to consider how to scale it. 6. With all this talk about social networks, it naturally leads you to a discussion about Facebook (or Google+). Neither of them have big focuses in the healthcare space. In your opinion, will these tools offer an intervention approach for changing behavior around medication or will that be occur at the disease community level in tools like PatientsLikeMe or CureTogether where there’s no social bond but a connectivity around disease? The role of social media has changed the way we communicate and connect with one another dramatically over the past decade. What we can say, based on this particular study, is that the more practical the support, the more significant the impact on medication adherence. Perhaps further studies looking into solutions that effectively combine online/social media platforms to complement practical support would help clarify their impact on medication adherence.